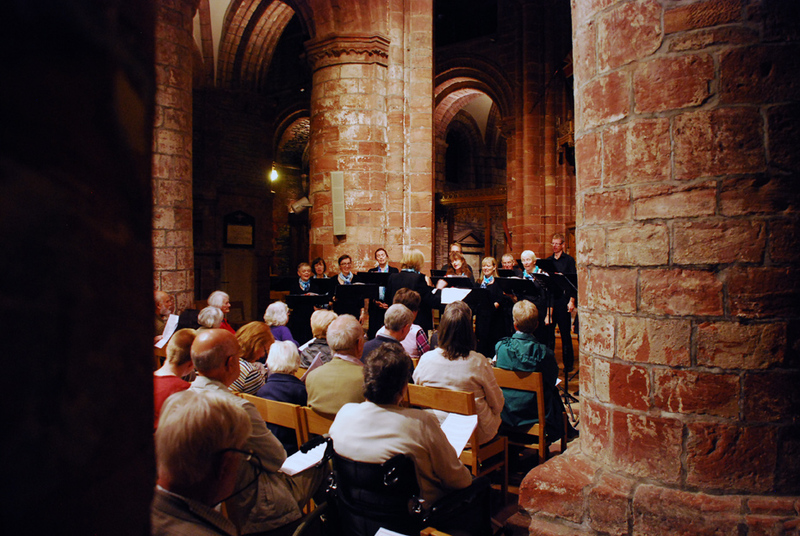 The Sunday evening concert featuring the Mayfield Singers and organist George McPhee with guests is always a highlight, and last year it included the premiere of a new piece of music and the first performance in Orkney of a new work by an Orkney composer. Land Unseen by Orkney composer Gemma McGregor was commissioned for World Heritage Day on 18 April on the Antonine Wall. Artists from the five World Heritage sites in Scotland came together in the project Shadows of our Ancestors to create new work in photography, film, music, poetry, physical theatre and sculpture. In each case the. The work in each case was inspired by their own World Heritage site, with a common focus on the year AD 142 – the date when work started on building the Antonine Wall, the Roman Empire’s northern frontier. The music that Gemma McGregor writes has been described as having a sense of place that is often based on speech rhythms. She has received several commissions to date, including four pieces performed at the St Magnus Festival. Her works have been selected for three competition performances. She wrote the soundtrack for Mark Jenkins’ film, ‘Gunnie’ (2010), and is currently writing music for a film by Raymond Besant. The Eris Ensemble recently recorded a CD of her chamber music. Gemma is currently working on a piece for choir, organ and brass for the Aberdeen choir, Con Anima. The lyrics for Land Unseen were written by the Mayfields during a workshop. Owen Tierney recorded the rehearsal in the Cathedral at the top of the nave, between the first pair of pillars. You can hear an extract here. 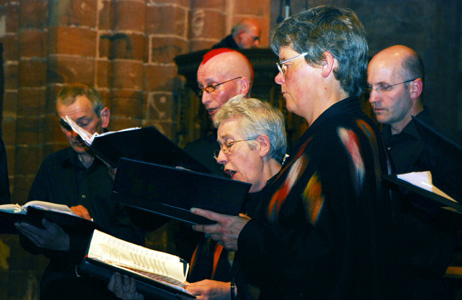 To reach out to explore lands unseen was very much the theme of the Sunday evening concert in the Cathedral last year. The concert took shape around the writings of Sir Arthur Eddington, the astrophysicist who used language that was sometimes poetic and sometimes mystical in his efforts to give clarity and understanding to the territories signposted by mathematics and physics. 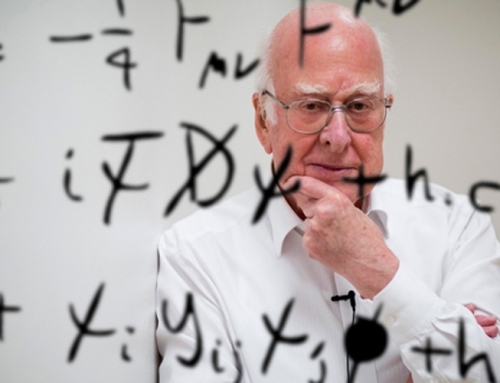 ‘When we have taken together the sun and all the naked-eye stars and many hundreds of millions of telescopic stars,’ he wrote, ‘we have not reached the end of things; we have explored only one island – one oasis in the desert of space. ‘Other islands lie beyond. It is possible with the naked eye to make out a hazy patch of light in the constellation Andromeda, which is one of the other islands. And here is an extract from a concert in the Cathedral earlier this summer, with the Mayfields under the direction of conductor Denise Stout performing Coelos Ascendit Hodie by Charles Villiers Stanford. 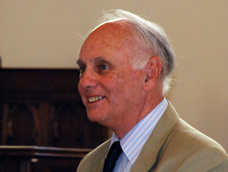 A new work dedicated to Eddington was given its premiere in the concert. 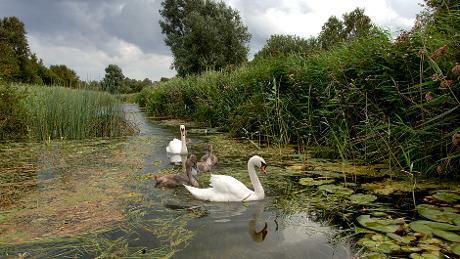 On Wicken Fen has been written by Glasgow University’s composer in residence, Drew Mulholland. Wicken Fen is Britain’s oldest nature reserve, a fragment of the great wetland that once stretched from Cambridge to the Wash. It is a place where Cambridge students and staff, such as Eddington, loved to explore, with the sound of reed and sedge warblers in spring and the sight of bright yellow brimstone butterflies, and then the riot of wild flowers in the summer, with the air teeming with dragonflies and damselflies, and roach, rudd and perch in the water. It is indeed a place where humans can get closer to another world, an older and more natural one. A sense of place is something primary to Drew Mulholland. He is the leader of a group of individual musicians who are pioneering a concept they call psychogeography – the idea that landscape shapes our minds deeply, not just our immediate perceptions but something that can affect mood, memory and behaviour. In various recordings which he issued as Mount Vernon Arts Lab he has explored techniques of electronic music, He has been described as a one-man radiophonic workshop, and indeed he is an admirer of the work of the BBC’s Radiophonics Workshop and in particular the composer Delia Darbyshire, who created the original Dr Who theme in the early sixties. 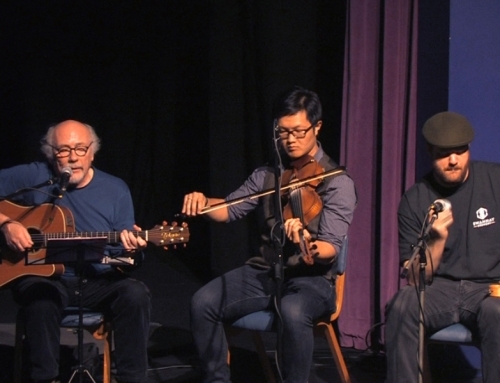 He composes for instruments and for the human voice, including Geographia Mundi which he wrote for the centenary of Glasgow University’s Geography Department and which can be heard in the background of a video produced for the occasion. Geographia Mundi was performed by the Mayfield Singers in the Cathedral concert, while On Wicken Fen, along with another of Drew Mulholland’s compositions, Stella Nova was played by a string group including members of Orkney Camerata, brought together by violinist Lesley Macleod. Other works featured by the Mayfield Singers were Weelkes’ Thule the period of Cosmography, Snowdon’s Betelgeuse, and Bach’s Der geist hilft. George McPhee, the organist of Paisley Abbey, played Vierne’s Claire de Lune (Pieces de Fantasie Op 53) and Parry’s Chorale Prelude on Croft’s 136th ‘Ye boundless realms of joy’, and he joined the Mayfield Singers for Haydn’s The heavens are telling. George McPhee, who has been Organist and Master of the Choristers at Paisley Abbey since 1963, is also Visiting Professor of Organ at St Andrews University. He is in great demand as an organ recitalist and choral conductor throughout the UK and abroad. He has made a large number of recordings in both capacities, and has broadcast frequently. Notable performance venues have included the Aldeburgh Festival, the Royal Festival Hall in London and many recital tours of North America. 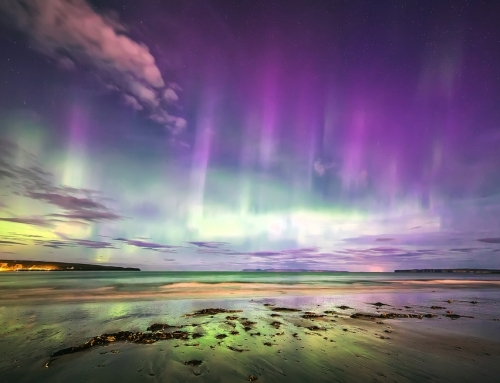 [/two_third] In the concert in St Magnus Cathedral excerpts from Eddington will be read by Dave Grieve, and background images of Orkney’s night skies will be provided by members of Orkney Astronomical Society. In the concert in St Magnus Cathedral excerpts from Eddington were read by Dave Grieve, and background images of Orkney’s night skies were provided by members of Orkney Astronomical Society.